Belgard Pavers and Wall Block Retaining Walls are now available in the Redding, Northern California Area. Home owners, contractors and developers are welcome here. Belgard Architectural Products Group provides a range of architectural masonry products including Belgard interlocking concrete pavers, block retaining walls and masonry veneers to homeowners and professionals. 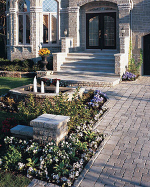 Products include the traditional and antiqued paver and wall series. All Belgard products have a long history of successful applications on thousands of residential and commercial projects throughout the United States and Canada. 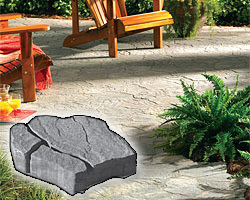 Commonly used applications for our concrete pavers include driveways, walkways and patios. Belgard products complement any landscape while adding beauty to both new and existing homes. The quality of the concrete used to manufacture Belgard products is rigorously monitored at all times. Each day, in all plants, finished products are systematically sampled and are put through comprehensive tests. These tests include measuring resistance to temperature extremes, effects of de-icing salts, product stability, consistency of mixture and load-bearing capacity, among many other physical and chemical characteristics. 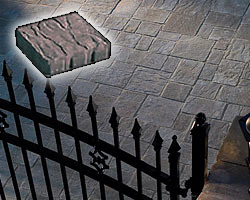 Belgard concrete pavers and retaining walls will enhance the aesthetics and value of your client’s property. With a wide selection of colors, shapes and finishes, these products enhance any architectural style from Craftsman to Contemporary and Mission to Mediterranean.